Seventeen year-old Chelsea Knowles is your average teenager. But she’s harboring a secret that very few people know: she and her dad can’t pay the bills. Broken by his wife leaving, Chelsea’s father ignores his parenting responsibilities. Between cheer costs, grocery bills, electricity, and other financial burdens, Chelsea knows it’ll be up to her to keep the lights on. She manages to sneak into a casino, and her first big poker win sparks the beginning of a downward spiral. Money stops being a problem, but a complicated web of lies begins to spin out of control, threatening to reveal her bluff. 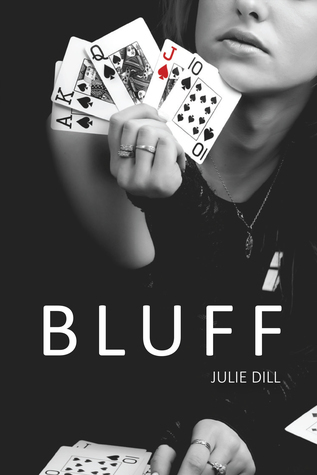 MY THOUGHTS: This young adult fiction, "Bluff" by Julie Dill, is one of the greatest books I've read so far. It's one of those stories that always kept me reading. 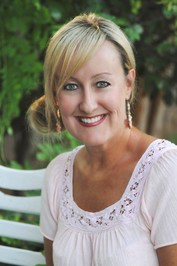 I wanted to find out more about the character, Chelsea, and what she was going to do next. Chelsea is a risky type of person, trying to find ways to make risky money to pay for the bills. She is smart, but she is not perfect. Q: As a professor, do your students ever influence your characters or writing? A: Yes, I would say my students have always influenced my writing in some way. Also, I taught in public schools at the elementary level, and definitely some of the characters/settings (or even life situations) have influenced the way I write. Q: During your writing process - do you brainstorm with your students, colleagues, or family? Or, do you prefer writing alone? A: I read some early drafts of scenes of Bluff to friends and family and got feedback, and I guess it was positive enough to keep moving forward with the project. Also, I have a critique group, and we’re always bouncing ideas off of each other. I’ve been with the same 3 ladies for several years, and I really value their opinions and input. Q: Do your students read your writing? What are their thoughts? A: My students have not read any of my creative work. I teach English composition, and that’s a whole different ballgame. However, my students have expressed interest in Bluff and are eager to check it out. Q: What influenced Chelsea’s character development? A: It’s weird how a character evolves. I really tried to create a unique character- a high school girl who wasn’t the norm. My personal life, as a teenager, could not have been more opposite than Chelsea’s so I really had to get outside of what I knew and what I was comfortable with to get in Chelsea’s head. Q: You yourself are a poker player. 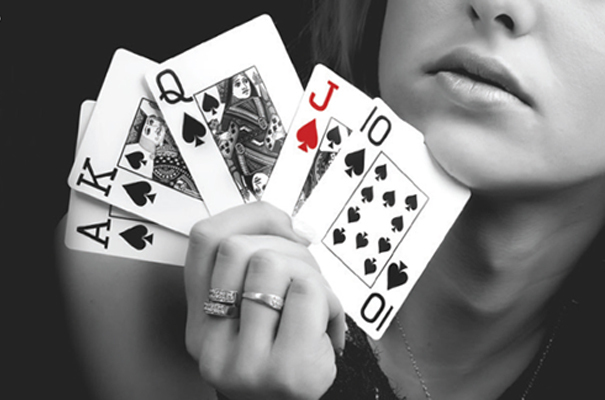 How does poker serve as an underlying metaphor in the novel? A: I’m a recreational player, and I only play a couple of times a year. I think that the game of poker represents challenges- trying to get ahead and outsmart your competition. Q: Many adolescents have to take on the role as parent in their households. A: What role did you play in your household growing up? I came from a home that Chelsea would envy. My household was nothing at all like hers. I had a happy childhood, and unlike Chelsea’s dad, my dad worked very hard to provide for us. My mom was a stay-at-home mom, and we had stability. Q: What inspired you to write Bluff? Q: Chelsea’s father doesn’t fulfill his role as a parent after her mother leaves him and leaves Chelsea to become a provider. How does Chelsea cope with both parents’ absence? A: She manages. She doesn’t have a choice. I think down deep Chelsea is longing for some maternal guidance, and that’s why I wanted her to have Ms. Stella. Q: What attracted Chelsea to gambling and casinos? A: Initially, it was her attempt to try to get some quick cash. But long term, it became escapism. She could enter this world where she didn’t have to think about all of her responsibilities and just escape. Q: Where did you write the majority of Bluff? A: It’s extremely difficult for me to write at home. I get too distracted with things like laundry, my dog, Ellen, and naps. The majority of Bluff was written in coffee shops or the Panera Bread near my house. Q: What made you choose “Bluff” as the title? A: I love one-word titles, especially in YA. Since Chelsea’s life is basically one big bluff- lies to her dad, her friends, Nate and others- I thought it was fitting. Q: Who was your favorite author growing up? Has it changed? A: I have many. Alice Walker and Billie Letts are up there. I once attended one of Billie Letts’ book signings, and I remember standing in line staring at her thinking how does that woman come up with these characters? Her characterization is phenomenal. And who doesn’t love Alice Walker?